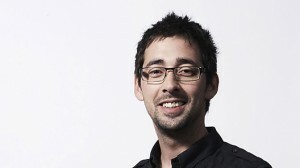 BBC Radio 5 live presenter Colin Murray is to replace Richard Keys and Andy Gray as host of talkSPORT's mid-morning show. Keys and Gray recently announced their departure from the daily show after confirming they had accepted a new TV role with Al Jazeera's English language channel. Murray, who last season lost his Match of the Day 2 presenting role to Mark Chapman, will be taking over the 10am-1pm slot from August 12th. Liam Fisher, programme director at talkSPORT, told RadioToday: “Colin Murray is a hugely talented sports broadcaster who brings further experience and creativity to our fantastic line-up. Murray's new role means his time at 5 live will come to an end. The Northern Irishman first joined the station in 2006 and has helped to establish Fighting Talk as one of its most popular programmes, as well as being a regular presenter of 5 live Sport. He has also worked for Radio 1 and Channel 5. He said: "I’m truly excited about creating this programme, and I hope it will become the morning ‘go to’ for UK sports fans. I will be joined by fascinating and knowledgeable guests every day offering up different opinions on issues and topics that you want to hear about throughout the week.